LOUISVILLE, KY (WAVE) - A new mural painted on the wall of the local chapter of the National MS Society hopes to raise awareness for Multiple Sclerosis in the city. 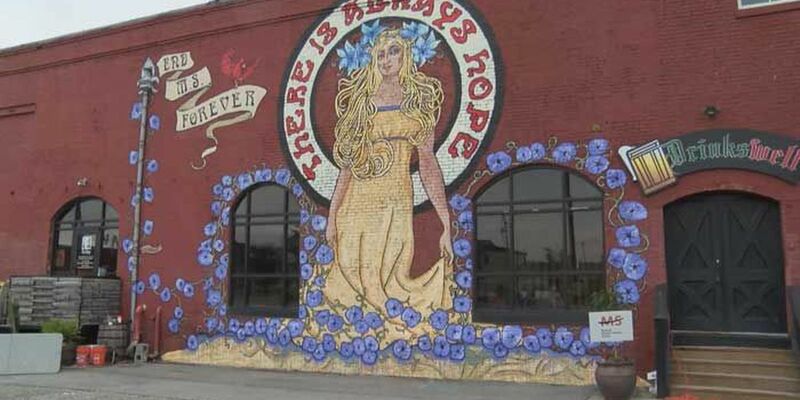 Lydiaemily Archibald, the mural artist, is battling Multiple Sclerosis herself. She travels across the country to spread hope and awareness through her artwork. Louisville was selected as one of the sites visited during a national convention in Denver last year. "Obviously, the considerations were places like Los Angeles, New York, Chicago... Places where street art is well known," said Archibald. "The people from this town were so kind, they were so nice to me and talked about how wonderful this place was and because it's a small chapter it doesn't get all the big things and get enough attention, but they were working so hard and I promised not to forget them." The World Without MS mural is currently on display in the Butchertown neighborhood.